Published On: 1/8/2012 A.D. – 13/9/1433 H.
Teaching children the fasting of Ramadan is one of the things which occupies the minds of parents. It is one of the difficult matters which people have to endure patiently in order to reach their goal of Ramadan. Therefore, we shall direct the parents to how to teach their children fasting and the acts of worship that are performed during that month through the following directions. Parents should receive the month of Ramadan with joy and happiness and speak to their children about this month in order to make their children feel the greatness of the Month. They should tell them that Muslims wait for this month every year because of its blessings, multiplication of good deeds, and the goodness of its nights. By this, we instill in the minds of children the rearing of the Pious Predecessors: Some of the Righteous Predecessors used to invoke Allah for six months to reach Ramadan then invoke Allah for another six months to accept from them the worship of Ramadan. Published On: 12/8/2012 A.D. – 24/9/1433 H.
As was the case in the last ten sessions of the Ramadan Forum, the Philippines night has proved to be the most eventful this year also with tens of people converting to Islam. Prominent Filipino scholar Sheikh Omar Penalber, 57, delivered a lecture in Tagalog on ‘The Path to Salvation’ as part of the six-lecture cultural programme for foreign communities of the 11th session of the Ramadan Forum in Al Twar-2 area on Thursday night. BERLIN—Hamburg has become Germany’s first city to recognize Islamic holidays, a move meant to encourage the integration of a religious minority often vilified by opponents of immigration. (To every People have We appointed rites and ceremonies which they must follow, let them not then dispute with you on the matter, but do invite (them) to your Lord: for you are assuredly on the Right Way. If they do wrangle with you, say, ‘God knows best what it is you are doing.’ ‘God will judge between you on the Day of Judgment concerning the matters in which you differ’) (Al-Hajj 21:76-69). When you think of European culture, one of the first things that may come to your mind is the renaissance. Many of the roots of European culture can be traced back to that glorious time of art, science, commerce and architecture. But did you know that long before the renaissance there was a place of humanistic beauty in Muslim Spain? Not only was it artistic, scientific and commercial, but it also exhibited incredible tolerance, imagination and poetry. 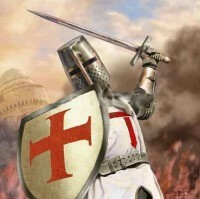 Muslims, as the Spaniards call the Muslims, populated Spain for nearly 700 years. As you’ll see, it was their civilization that enlightened Europe and brought it out of the dark ages to usher in the renaissance. Many of their cultural and intellectual influences still live with us today. Sad and his deputation brought presents and were warmly received at the royal court by the T’ang Emperor Kao-tsung, (r. 650-683) in c.651 CE, despite a recent plea of support against the Arabs forwarded to the Emperor in that same year by Shah Peroz (the ruler of Sassanid Persia). The latter was a son of Yazdegerd who, along with the Byzantines, already had based their embassies in China over a decade earlier. Together they were the two great powers of the west. A similar plea made to Emperor Tai Tsung (r.627-649) against the simultaneous spread of Muslim forces was refused. First news of Islam had already reached the T’ang royal court during the reign of Emperor Tai Tsung when he was informed by an embassy of the Sassanid king of Persia, as well as the Byzantiums of the emergence of the Islamic rule. Both sought protection from the might of China. Nevertheless, the second year of Kao-tsung’s reign marks the first official visit by a Muslim ambassador. The ‘Great Mosque of Guangzhou’ is also known as Huaisheng Mosque which means ‘Remember the Sage’ (A Memorial Mosque to the Prophet) and is also popularly called the ‘Guangta Mosque’ which translates as ‘The Beacon Tower Mosque’. 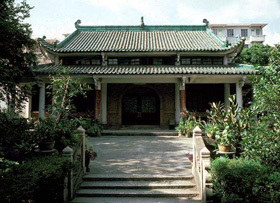 Huaisheng Mosque is located on Guantgta Road (Light Pagoda Road) which runs eastwards off Renmin Zhonglu. Prior to 500 CE and hence before the establishment of Islam, Arab seafarers had established trade relations with the “Middle Kingdom” (China). Arab ships bravely set off from Basra at the tip of the Arabian Gulf and also from the town of Qays (Siraf) in the Persian Gulf. They sailed the Indian Ocean passing Sarandip (Sri Lanka) and navigated their way through the Straits of Malacca which were between the Sumatran and Malaysian peninsulas en route to the South China Sea. They established trading posts on the southeastern coastal ports of Quanzhou and Guangzhou. Some Arabs had already settled in China and probably embraced Islam when the first Muslim deputation arrived, as their families and friends back in Arabia, had already embraced Islam during the Prophet’s revelation (610-32).